I recently had a long discussion on this topic as I didn’t really understand the logic in interest being haram. After having the discussion, it became very clear what God’s message was on the subject of Riba and business. Riba is another word for interest however from my understanding, not all interest is Riba. It depends on the circumstance in which the money is being loaned. 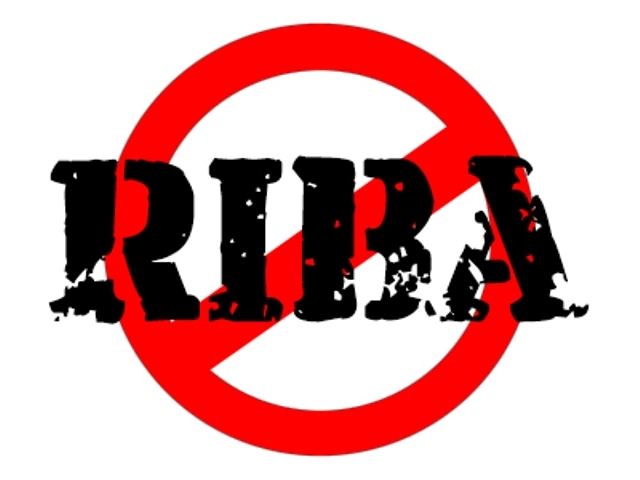 We are permitted to do business but Riba is forbidden. So to understand the difference we must understand the definition of both business and Riba. Business is an economic transaction where two parties have a mutual agreement and both stand to benefit from the transaction. Riba on the other hand is the charging of interest on a loan to someone who is in need of the loan to feed or shelter their family or any other welfare reason. So one person has the advantage and the other is vulnerable. If someone goes to the bank for a loan to further their business, buy a house, a car or pay for a luxury holiday etc it is a business transaction between the bank and the individual. The reason this is a business transaction and not Riba is because the bank would not lend you this money unless you were in a very comfortable position with a large disposable income. Also, as the interest charged is regulated by the national bank, there is not element of unfair disadvantage. Someone in a destitute situation looking for a welfare loan is offered a loan with interest is when interest becomes Riba. It is the reason for the loan and the situation of the person requesting a loan that matters. A responsible bank will not normally lend you money if you were not earning very much and may struggle to repay the money let alone any interest on top. Generally it would be the more dodgy lenders like payday lenders or individual loan sharks who would lend the money expecting a return and also charging a large % of interest as they know the person is desperate for this loan. Or if you are the lender, you can earn God’s rewards by forgiving any loans made to someone who is at a disadvantage. Do we need the Quran? What's wrong with the 5 pillars of Islam?